No matter how cool they may look in magazines, celebs are just regular people like the rest of us. And regular people sometimes need orthodontic appliance. If you thought these celebs were just born with picture-perfect smiles, think again. From singers to actors, Hollywood royalty to the British royal family, many of our favourite icons have invested in braces to achieve their brilliant celeb smiles. Below we’ve listed some of the most famous celebs you may not know use braces. One of the most recognisable names in Hollywood, Tom Cruise has been America’s heartthrob for years. He has gained fame not only in the US but in the UK and the rest of the world as well. Best known for his roles in Top Gun and Mission Impossible, Cruise has incredible acting prowess. He’s also described as one of the most handsome celebrities on the big screen. 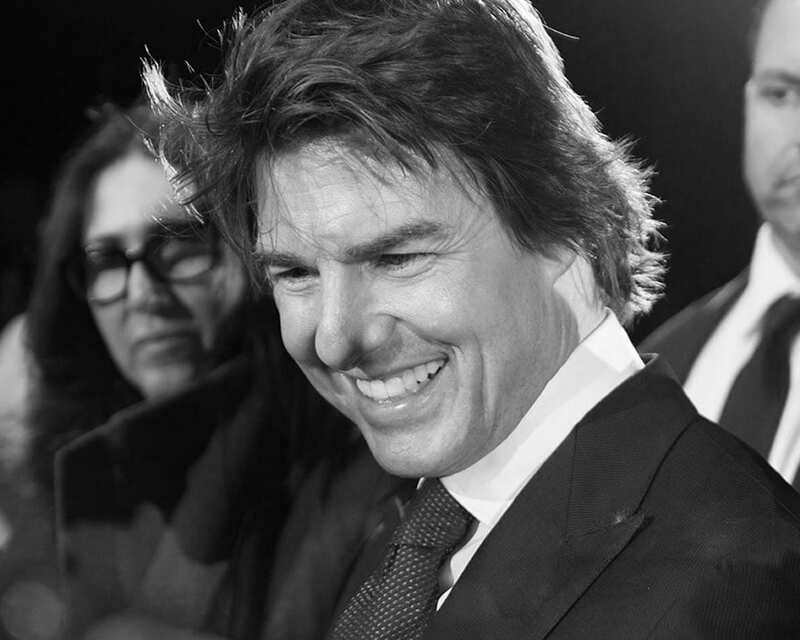 Tom Cruise’s smile is no stranger to the camera—but his teeth weren’t always picture-perfect. In fact, in his younger days, Cruise had severely crooked and misshapen teeth. At the start of his acting career, Cruise had an unfortunate mono-tooth (or unitooth) that was significantly oversized. He also had other imperfections like misalignment and discolouration. Today, Cruise’s perfectly aligned teeth and bright smile are two of his most charming qualities. Ranked as one of the world’s most beautiful women, Angelina Jolie is known for her striking smile and full lips. However, she too needed the help of braces to perfect her smile. The Mr & Mrs. Smith actress sported braces in her teens, to help her achieve her now-famous smile. Today, her 12-year-old daughter, Shiloh Jolie-Pitt, also wears braces to align her teeth. Shiloh can be spotted in many photographs beaming a metal smile. From Hollywood royalty to the royal family, no one is immune to crooked teeth. In their teenage years, both Prince Harry and Prince William wore braces to perfect their smiles. Growing up in the spotlight, braces played a key role in giving Prince Harry and Prince William the royal smiles they are known for today. 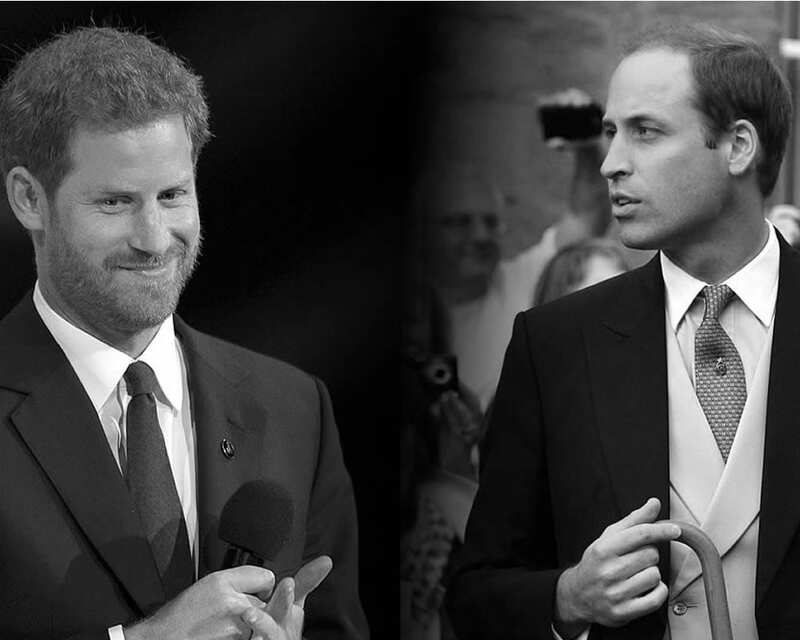 In fact, it was revealed that both William and Harry wore braces on their bottom teeth for at least 10 years. The old cliché that British royalty has bad teeth can finally be put to rest. Braces are saving the day one royal smile at a time. If dental braces good enough for the royal family, who wouldn’t want to use them to perfect their teeth? Playing the world’s favourite witch, Emma Watson grew up in the spotlight. Most known for her role as Hermione Granger in the Harry Potter series, Emma Watson grew up on the big screen. Few of her fans realise that she, too, wore dental braces for a brief period. Between filming of Harry Potter, Emma Watson had dental braces fitted to her teeth, which she wore for four months. As a megastar and model, having straight teeth was important to her, both for her profession and her confidence. And just like magic, braces did the trick, giving her the charming smile we’ve seen in Beauty and the Beast and on the telly. DID YOU KNOW? Emma is actually one of our very treasured patrons at Elleven Dental Wellness . Irish songwriter turned boy-band heartthrob, Niall Horan finally achieved his Hollywood smile after more than a year of wearing braces. This One Direction singer rose to fame after meeting fellow bandmates on X Factor. 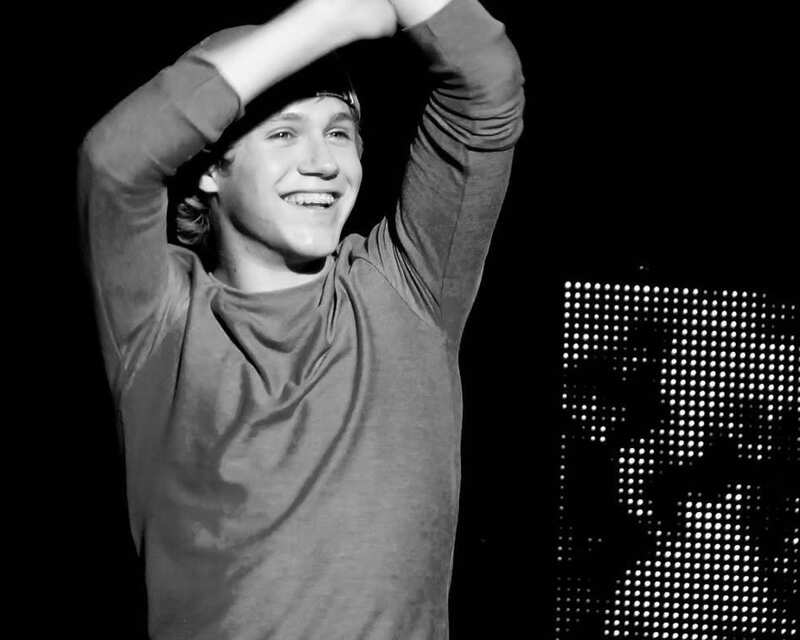 Early appearances with the band show that Niall suffered from crooked, uneven, and discoloured teeth. In late 2011, he finally decided to perfect his smile by investing in invisible braces. When it was finally time to remove them, he posted his excitement on social media. His before and after photos that highlight the difference dental braces can make. Today, his straight and white smile continues to melt the hearts of fans around the world. As one of the biggest sports stars in the world, Cristiano Ronaldo is no stranger to smiling for the camera. The first ever Portuguese player to sign with Manchester United, Ronaldo quickly grew to fame as one of the best football players of all time. In 2009, Ronaldo transferred to Real Madrid for a world record transfer fee of £80 million. In 2018, he signed a €100 million transfer contract with Italian club team, Juventus. However, while his skills on the field may be worth millions of pounds, he wasn’t born with a smile to match. 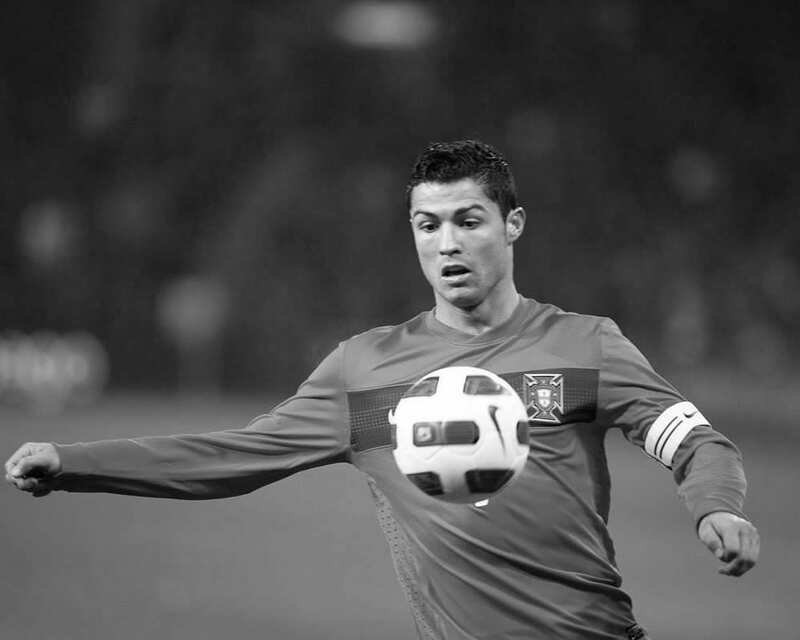 As a teen, Ronaldo suffered from crooked teeth and several gaps. While soccer is a full-contact sport, he didn’t let that get in the way of his dental health. His decision to straighten his teeth is a prime example for professional athletes that you can invest in braces and still succeed on the field. 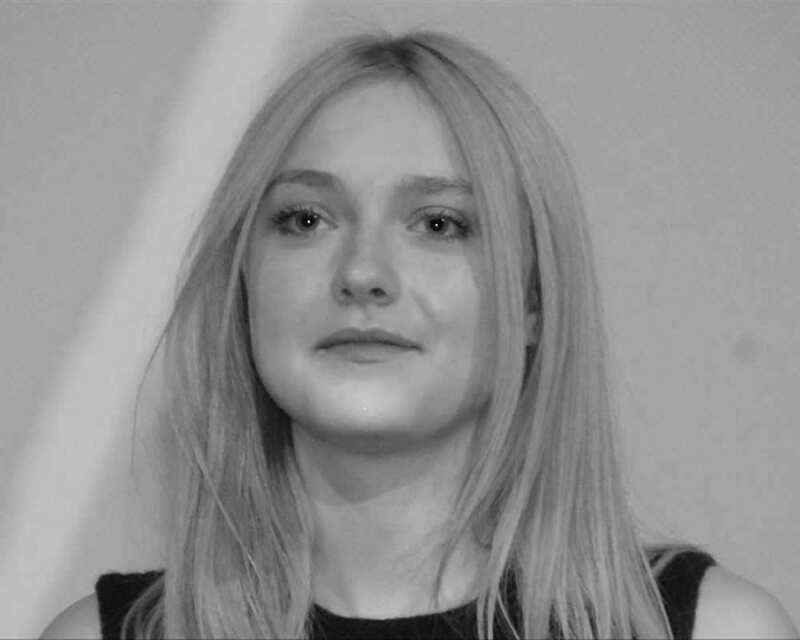 American starlet, Dakota Fanning, has had a long and complicated journey to achieving her Hollywood smile. Since her youth, she has struggled with uneven and crooked teeth. These required several teeth pullings, retainers, multiple sets of braces, and even a cumbersome headgear. With charming humour and humility, Fanning once sported on The Tonight Show with Jay Leno. Fanning’s journey to straight teeth has been challenging. However, she can now feel more confident than ever showing off her pearly whites on screen. If you’ve been keeping up with the Kardashians, you know that Fashion Week model Kendall Jenner didn’t always have perfect teeth. In fact, the young model had her first set of braces at 13 years old. Today, the model’s perfect smile is one of the most striking features about her. She can be seen flashing her smile on the runway, magazine covers, and the catwalk. International pop sensation, Gwen Stefani, is known for her booming voice and trend-setting style. But this Billboard Hot 100 artist wasn’t born with the perfect smile. In fact, she admitted to Access Hollywood that as a child she always wanted to have braces, but her family couldn’t afford them. In 1999 once she rose to fame, Stephanie took the matter into her own hands, investing in a set of braces to straighten out her teeth. But she certainly didn’t let the metal in her mouth keep her from singing. She went on to write many more hits, and her smile is now brighter than ever. The Hannah Montana fan grew up on American television and quickly captured hearts around the world. But “Smiley Miley” wasn’t born with the perfect smile. As a teen, Miley Cyrus needed braces to perfect her pearly whites. She opted for a unique solution with lingual braces hidden behind her teeth.